If I get a dollar for every time I get asked what scent I'm wearing, I'd be on the list of Forbes Richest People by now! That's an exaggeration. I need Divine intervention for that one. But seriously, I do get asked a lot about the fragrance I'm wearing. "Never tell others your scent! Are you crazy? That's your signature scent! ", was what my egotistical best friend told me. I never understood the logic in that remark since the brand does not make the fragrance just for me. I love my BF so I gave her a pass with that extremely shallow comment. Of course, I tell everyone who asks what scent I'm wearing. It's Amazing Grace by philosophy . I've always been a fan of philosophy's products and constantly check for their new stuff. Years ago (I can't remember the exact mm/dd/yy), while buying Hope in a Bottle , a saleslady asked if she could spritz some of Amazing Grace on me. Given my history of rhinitis attacks with scents (especially the highly offensive ones), I declined. I usually just stick to the scents that has befriended my nose well and forego trying something new. After a couple of months, I bumped into this lovely lady at the mall who smelled so good. A clean and light scent (read: not grandma's) that's definitely not offensive. It didn't trigger any allergy attack. I asked her what it was and she gave me an honest answer with a smile. See, that's why I tell people what scent I'm wearing when they ask because that's how I found (officially) out about it. That's good karma, you know! Amazing Grace has become my signature scent. I buy the spray fragrance rather than the body spritz because the scent lasts longer. That's just my observation. I used to go to the store to buy a bottle but I come out of the store with more. *gulp* It's different when you can try the products rather than just look at it. More chances of ka-chinging that hard earned money. So now, I buy online. I save more money that way. 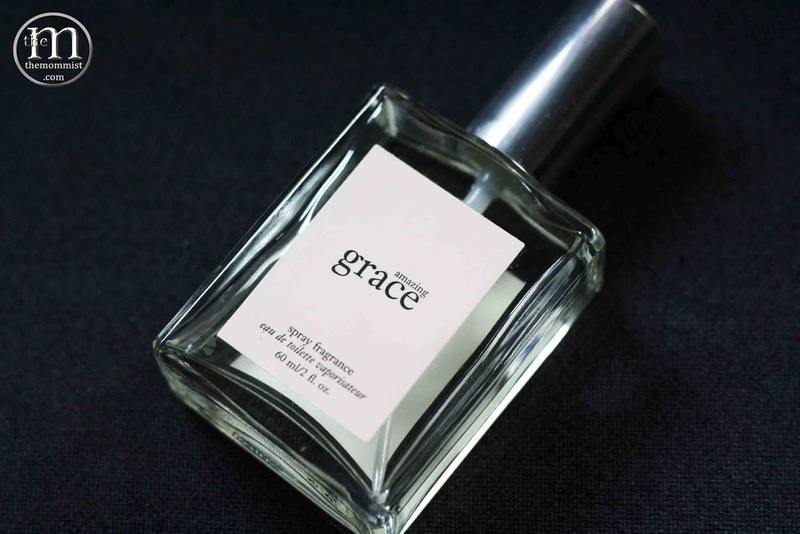 Amazing Grace is one of those scents that was made to impress. I also like that it's reasonably priced compared to the other fragrances of the same quality. I will continue to love it 'till I'm well into my golden years! No granny perfumes for this lady! Have you tried Amazing Grace yet? Thoughts?